The name Lightfoot within Cumberland has become something of a fascination, and descendants of all of these families, whether related or not, have been followed with great interest whether they remained in the United Kingdom or moved world-wide. Of particular interest is the Lightfoot family of Wedholme Hill in the parish of Wigton where several Williams and Josephs lived from the mid seventeenth century into late Victorian times. Ann Lightfoot, was born in 1864 in Gilcrux. Before her marriage to Henry Wilkinson in 1894 , she worked as a servant/cook, reputedly for a family called Bigland, and perhaps at nearby Hayton Castle. She was said to have had two illegitimate children, but we believe there may have been three. 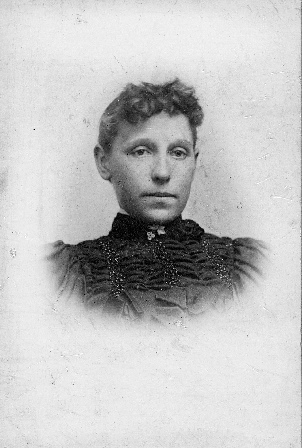 Ann later moved to Haltwhistle, and then to Newbiggin-by-the-Sea, Northumberland. Everyone will eventually find a criminal on their family tree and, for the Lightfoot family, theirs was a murderer named James. At the age of 21, James, in 1820, killed a younger man and was executed in Carlisle.